We have finally come to the end of our 30-day Zero-waste challenge and what a month it has been. A massive, and mildly surprised, thank you if you’ve stuck with us. 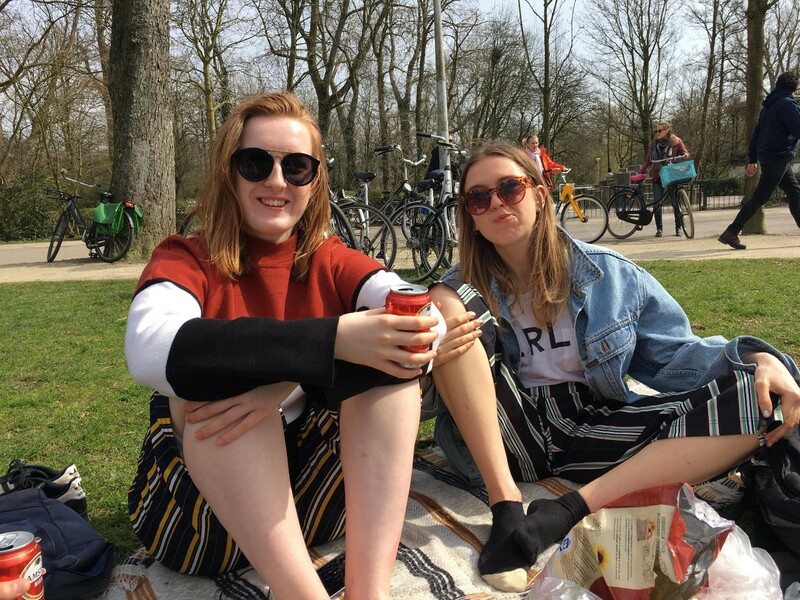 The Ginger and the Vegan have been through some serious highs and lows on this environmental rollercoaster, discovering life-hacks and natural alternatives galore. We faced our arch nemesis, the mighty Plastic, time and time again, sometimes conquering the beast and other times falling in battle. On the other hand, we’ve discovered the miracle that is coconut oil. We’ve assessed our daily lives from every angle: seeing how we can make our beauty routines, our fridge, and our drinking habits as sustainable and zero-waste as possible. It’s possible to grow your own lettuce, people! Food scraps can be turned into actual food once again. It’s a wasteless miracle. 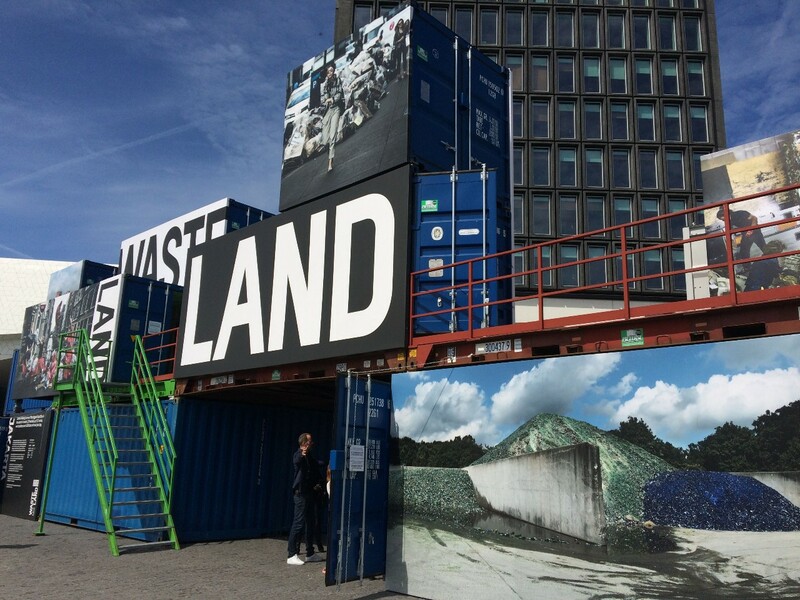 2) Jas and Morgana spotted a Wasteland exhibit in Amsterdam-Noord a few days ago. It featured some thought-provoking pictures and statistics about the world’s waste problem, showing people the ridiculous scale of the issue. Stuff like this is popping up everywhere as people start to realise just how much stuff we’re wasting, keep your eyes peeled wherever you go. 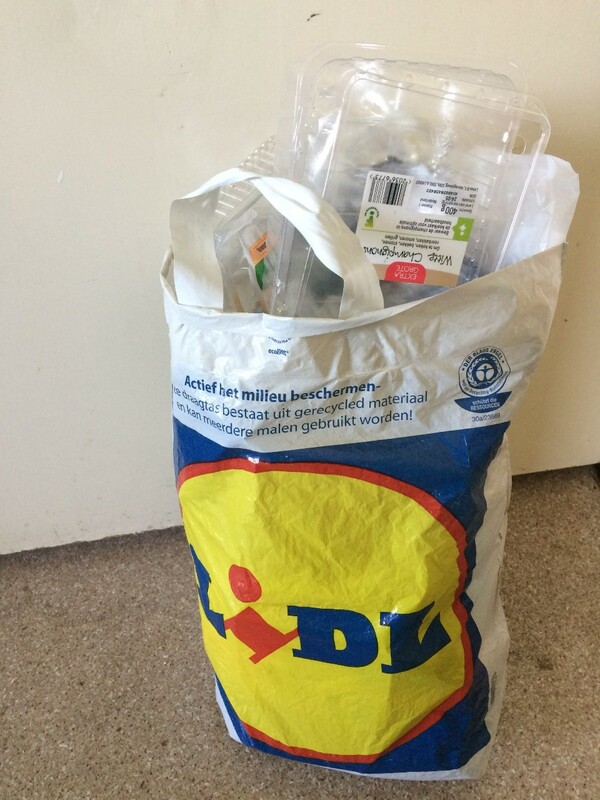 3) Rather than recycling like we would normally, over the course of the last 30 days, we kept our plastic waste so we could see just how much we get through. Answer: quite a lot. Although bear in mind throughout this challenge we have been very conscious of our plastic consumption so this is only unavoidable plastic (and we’ve stopped buying our hummus so that has made a very significant dent). The challenge has definitely opened our eyes to the wasteful ways of our society and every time we see unnecessarily plastic-wrapped vegetables it’s a knife to the heart. We’ve become a lot more conscious of our own consumer habits and now we’re always on the lookout for local zero-waste dinners and events because they’re popping up everywhere. Checkout Facebook for ones near you. Challenge accepted. Challenge completed. It’s been fun. Over and out. Read what Jas and Morgana were up to in the past 29 days.